Be the first to share your favorite memory, photo or story of Sharee. This memorial page is dedicated for family, friends and future generations to celebrate the life of their loved one. 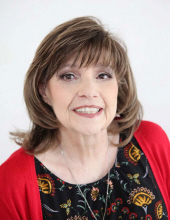 Sharee Jeanette Gardner, 65, of Midland, formerly of Haskell, passed away, Sunday, March 31, 2019. A funeral service will be held 2 pm, Saturday, April 6, 2019 at the First Christian Church, Haskell, with Rev. Tom Long officiating. Burial will follow in Willow Cemetery under the direction of Haskell Funeral Home, 2 Avenue D, Haskell. A visitation will be held Friday evening from 6:00 -8:00 pm, at Haskell Funeral Home. Condolences may be made at www.hasksellfuneralhometx.com. Sharee was born January 31, 1954 in Hamlin, Texas, the daughter of Rex Reese and Elouise Carrigan Reese. On May 26, 1978, she married Roland Gardner, who preceded her in death. She worked for Lubbock Central Appraisal District as the Department Head of Land Appraisal. She was a member of First Christian Church of Haskell, and in Midland, St. Luke’s Methodist Church. She was preceded in death by her father, Rex Reese and husband, Roland Gardner. Sharee is survived by her daughter Brandy Wrangham and husband Josh of Midland, TX; son, Eric Reese and fiancé Kimberly Case of Amarillo; mother, Elouise Reese of Midland, TX; granddaughter, Alison Case of Amarillo, TX; sister-in-law, Becky Walton of Haskell, TX; nephew, Trey Gardner of Haskell, TX; brother-in-law, John Gardner of Haskell, TX; half-sister, Helen Kimzey of Abilene, TX; nephew Randall Martin of Haskell, TX, and a host of dear friends. To send flowers or a remembrance gift to the family of Sharee Jeanette Gardner, please visit our Tribute Store. "Email Address" would like to share the life celebration of Sharee Jeanette Gardner. Click on the "link" to go to share a favorite memory or leave a condolence message for the family.